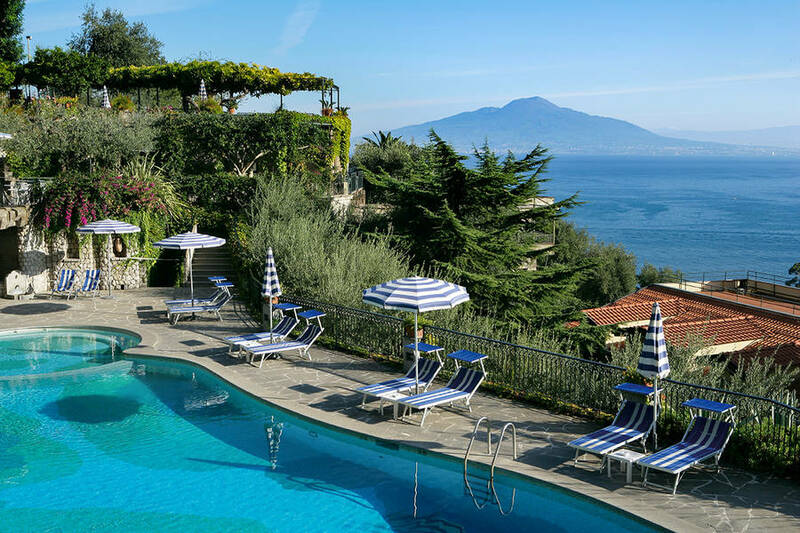 A 4 star superior hotel perched on a cliff overlooking the center of Sorrento and the Bay of Naples, Grand Hotel Capodimonte is one of the coast's most dramatic accommodations. 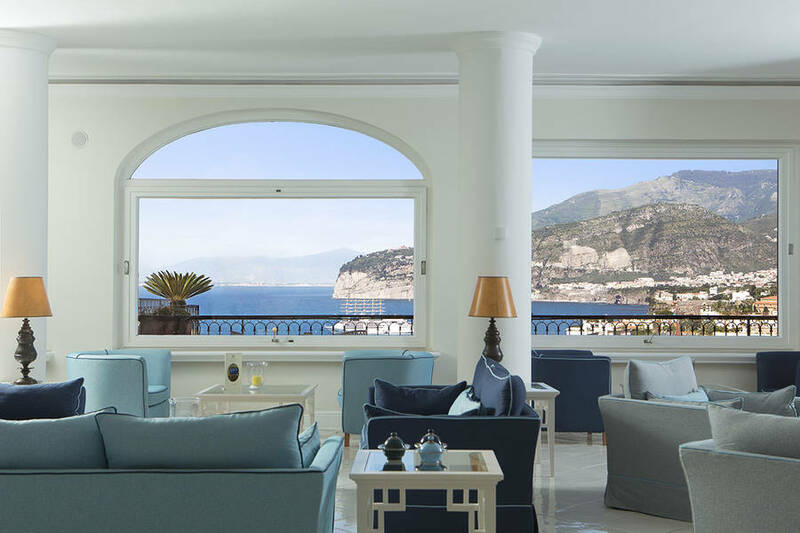 WIth its classic Mediterranean style, the hotel draws the eye with its imposing entrance carved directly into the cliff face, connected to the 5th floor hotel reception via direct elevators. 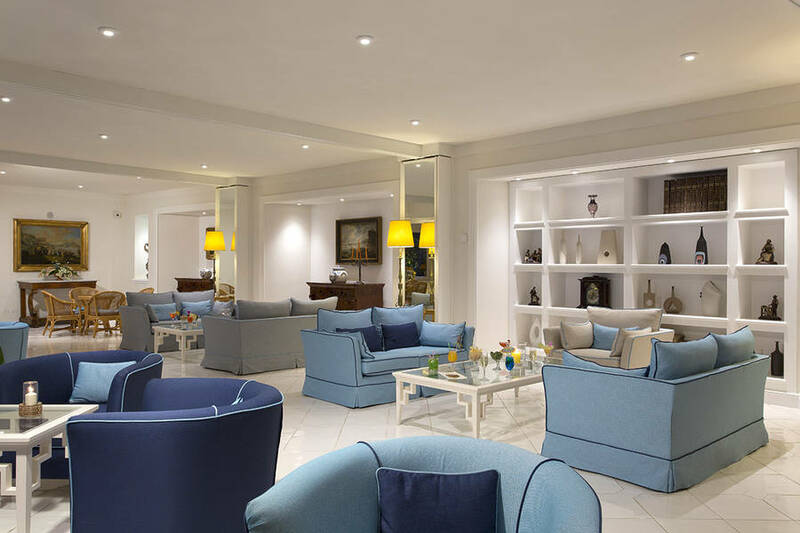 Grand Hotel Capodimonte's main lobby and lounge feature a vintage 1970's decor, with welcoming sofas, handcrafted wooden furnishings, and a marble staircase. 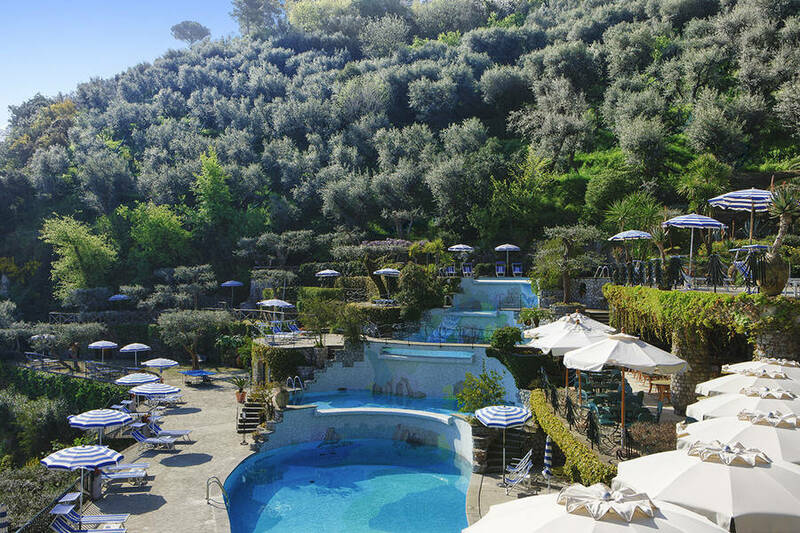 Through a tunnel tiled with traditional majolica tiles, guests can visit Restaurant "La Bougainvillea", the pretty, Mediterranean gardens, and the hotel's 5 swimming pools. 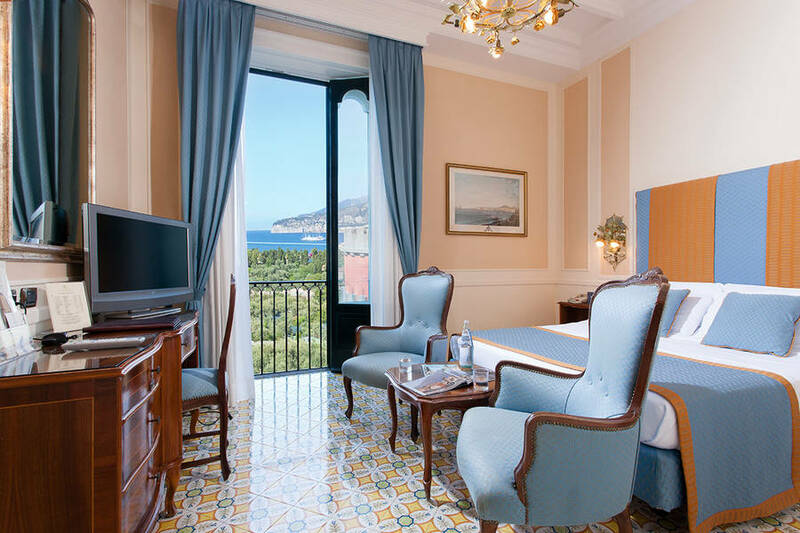 The rooms at Grand Hotel Capodimonte are all spacious, and bright, decorated in an understated Italian style featuring a soft pastel palette, and breathtaking views of Italy's Sorrento, Bay of Naples, and Mount Vesuvius. 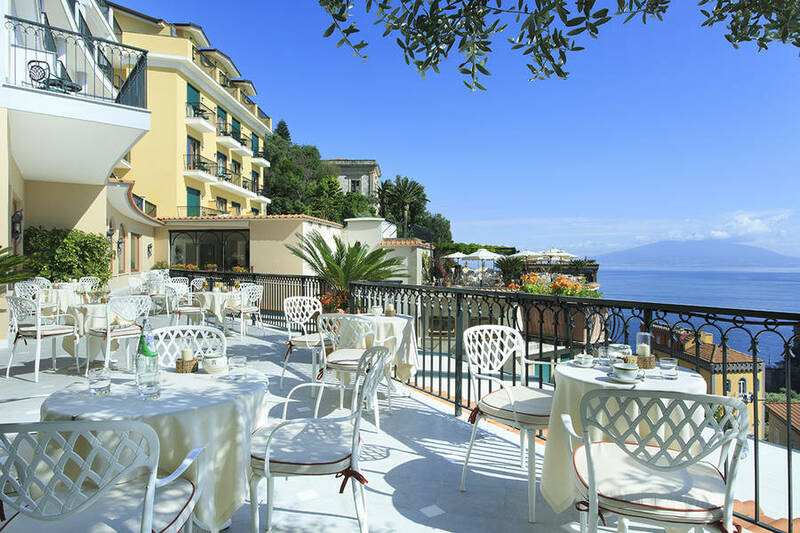 Guests enjoy dining on both traditional Neapolitan and international cuisine featured in the hotel's two restaurants - "Le Ginestre" and "Le Querce" - both with gorgeous views over the coastline. 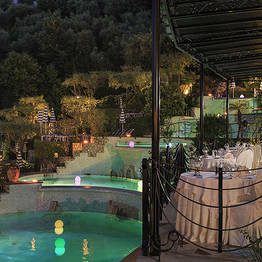 In the warmer months, guests can choose to dine al fresco on the terraces of the Le Querce. 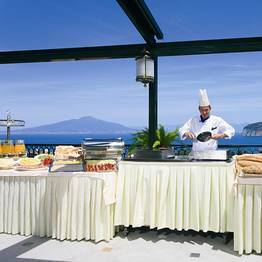 For more informal meals, Grand Hotel Capodimonte's "Snack Barbeque" in the garden surrounded by olive trees and lush Mediterranean plants serves grilled fish, meat, and vegetables outdoors. 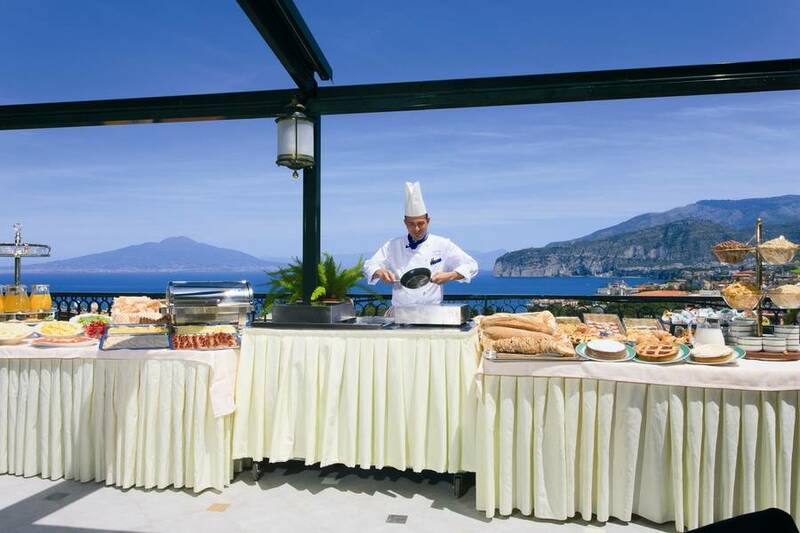 For elegant business or social events in Sorrento,Grand Hotel Capodimonte offers a variety of small meeting rooms and 2 large panoramic halls holding from 20 to 200 people. 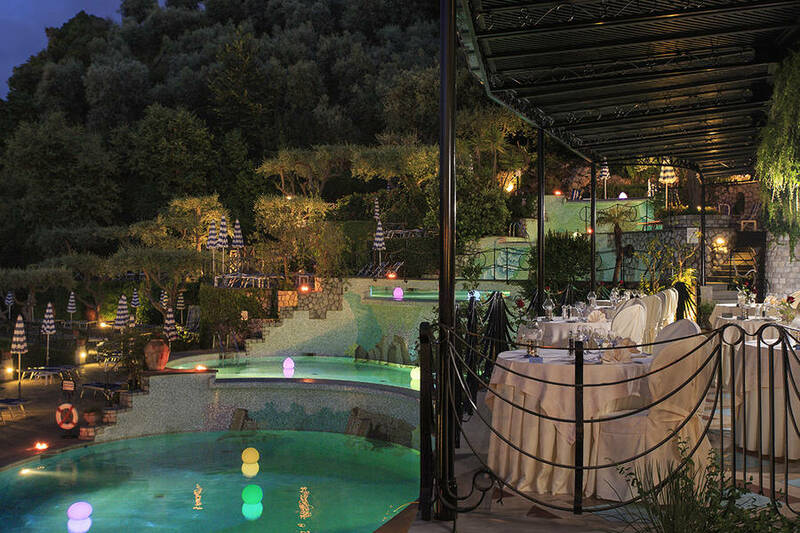 Good apart from the food. 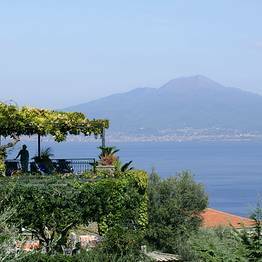 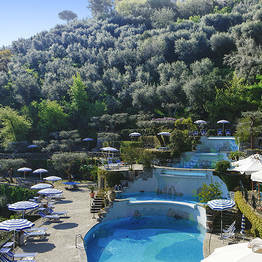 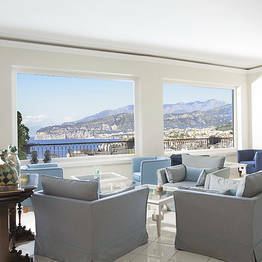 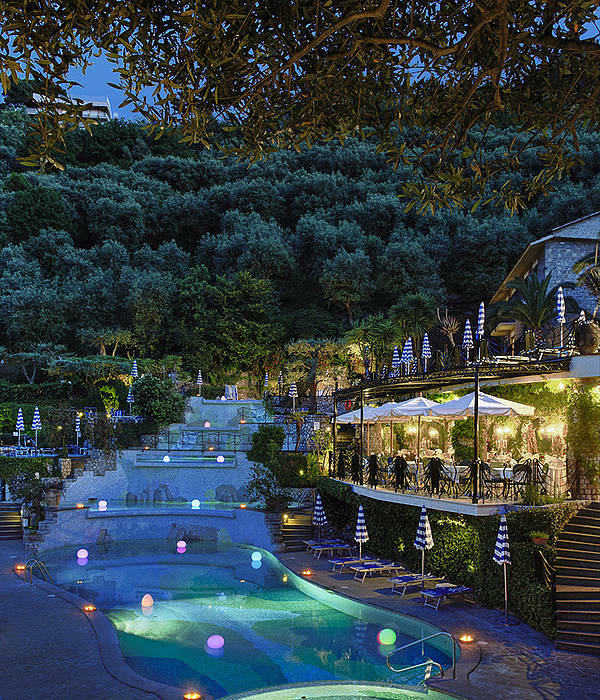 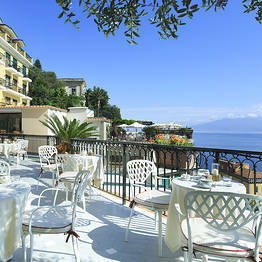 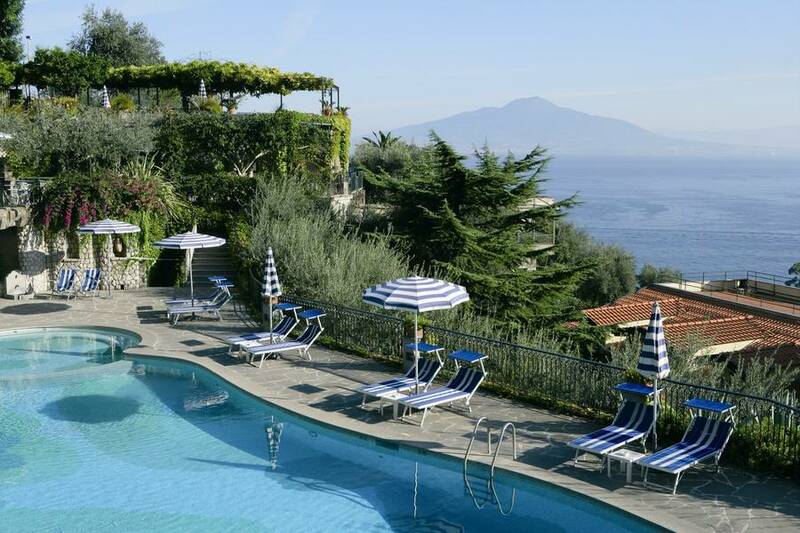 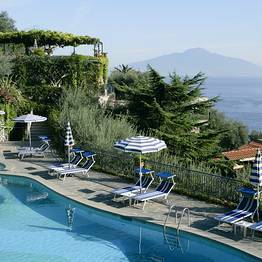 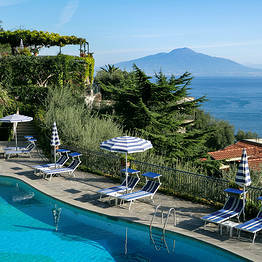 Grand Hotel Capodimonte occupies a fabulously panoramic position on the hillside of Sorrento. 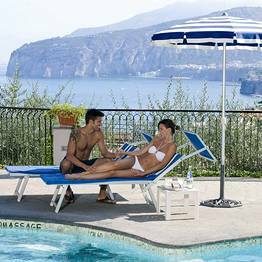 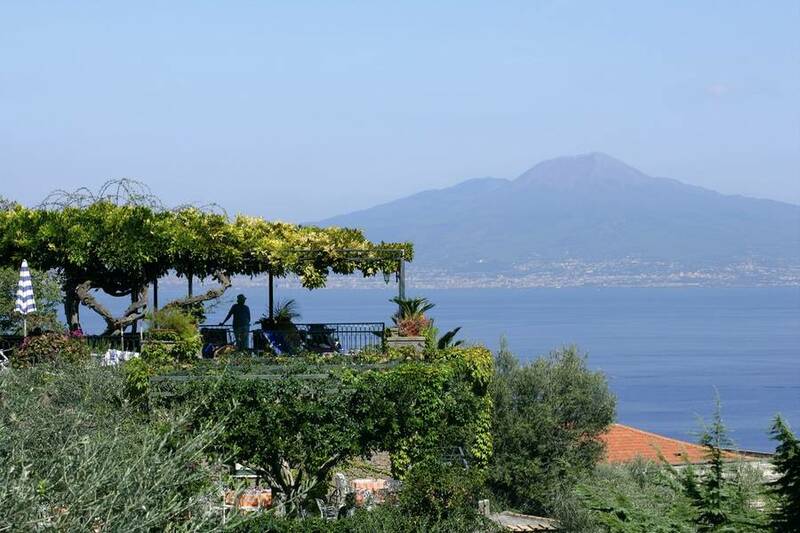 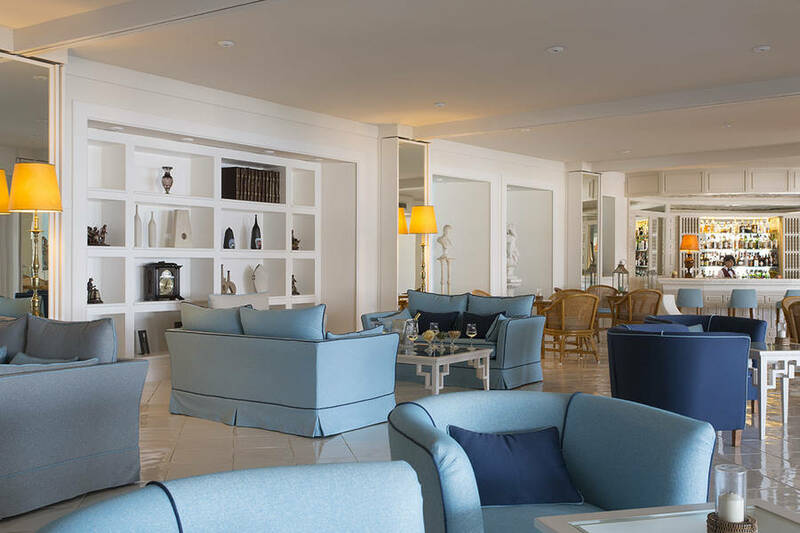 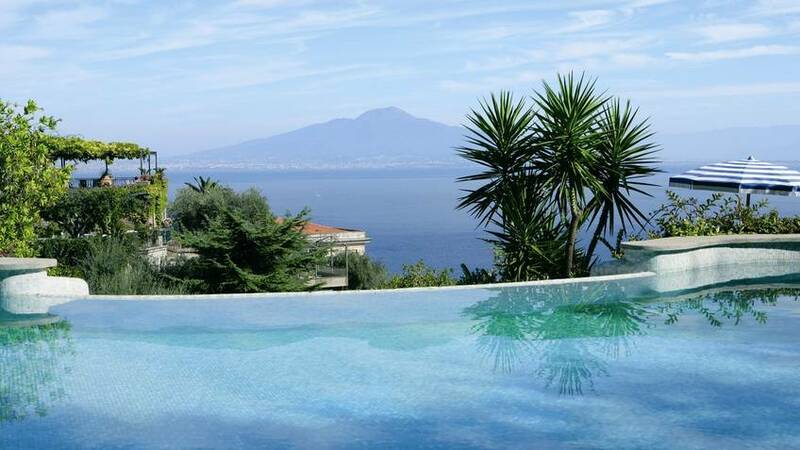 Within easy reach of the center of town, from its coastal site the hotel enjoys breathtaking views over the Bay of Naples, Mount Vesuvius, and the whole of Sorrento. 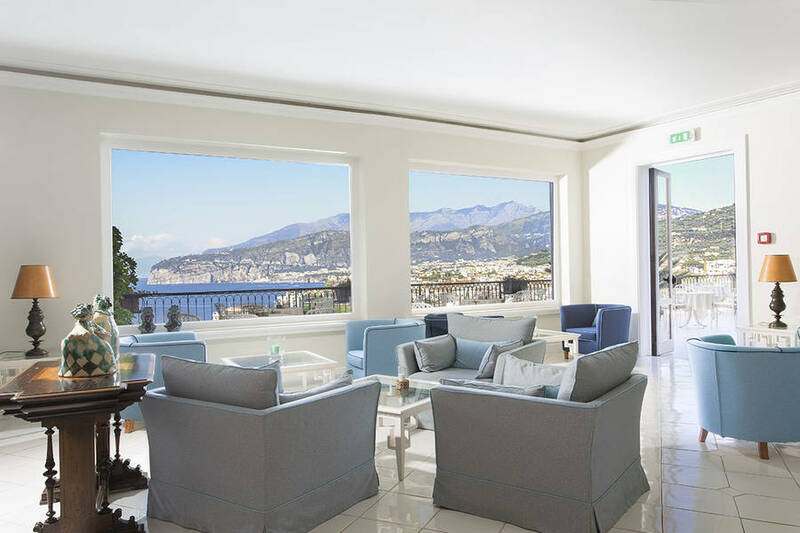 The towns of the nearby Amalfi Coast, the archeological sites of Pompei, Herculaneum and Stabaie, and the the city of Naples are all within easy driving distance. 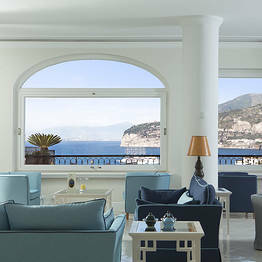 The island of Capri is just a 20 minute hydrofoil ride away. 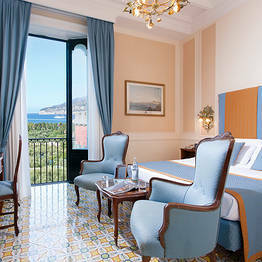 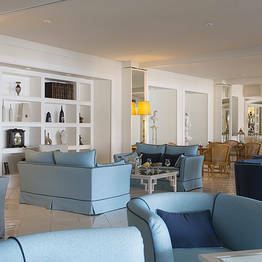 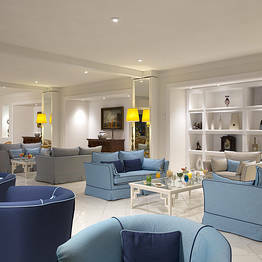 Book Grand Hotel Capodimonte on SorrentoInsider now with no additional booking fees.